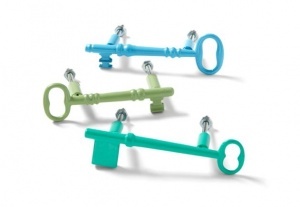 What To Do With Old Keys? 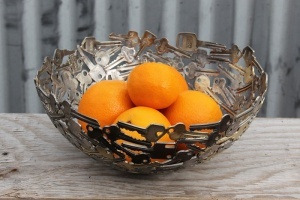 Amanda at Crafts by Amanda has shared a tutorial of recycling old keys. 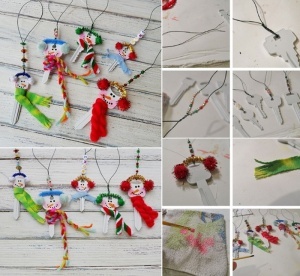 She has spray painted them with white paint and then detailed the snowmen with yarn, felt, pipe cleaners, beads and other embellishments. She has also added wire loops to the keys so that they can be used as holiday ornaments. Casey at The DIY Playbook when moved to a new home after changing the locks was left with some old keys of her new as well as previous apartments. 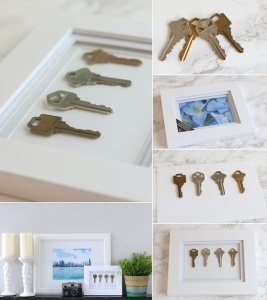 So, a wonderful idea popped in her mind and she turned all those keys into a wonderful framed art as shown in the picture above. 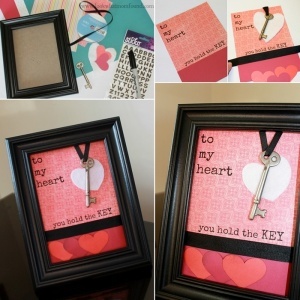 Melinda at Look What Mom Found has shared a tutorial where she has crafted an art that says ‘to my heart, you hold the key’. 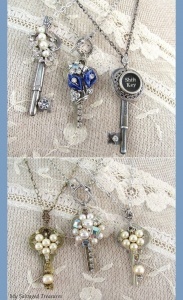 She has used an old key, ribbon and scrapbook paper. For the quote she has taken a print. HGTV has shared a tutorial of making drawer pulls with old keys by attaching metal spacers and nuts with a strong adhesive. 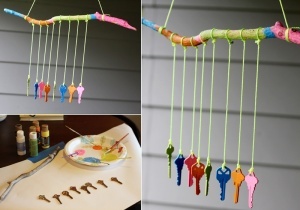 Inner Child Fun blog has shared a super easy wind chime tutorial that you can make using driftwood, acrylic paints, old keys and fishing line. First paint all the keys with funky colors of acrylic paints. Then paint the driftwood too. Cut cords and attach every cord’s ends to a key and driftwood.